When asked to recommend me a topic, Draggle told me to make a post on good shipping manga. So, here we are. I will list a few manga and talk about why I think they are awesome. Seitokai Tantei Kirika is kind of interesting. I guess this post could technically be considered a recommendation, but it is not really a wholehearted one. I say that partly because Kirika isn’t a masterpiece like some other manga I like, but mostly because it is not quite for everyone. That and well, there aren’t that many chapters out right now, so this could sink into total oblivion real soon. Don’t mind seeing cute girls get coerced into wearing rather revealing clothes. Are cool with slightly, unnecessarily convoluted plots. Don’t mind that all the girls will naturally gravitate towards the MC (not quite a harem, but close to one). Are okay with incredibly strange, bizarre characters (the student council president especially). It should be quite apparent by now, but I am a sucker for fantasy romances. A pretty princess, a bishie bodyguard, a couple of tragic events and you are all set to make me happy! 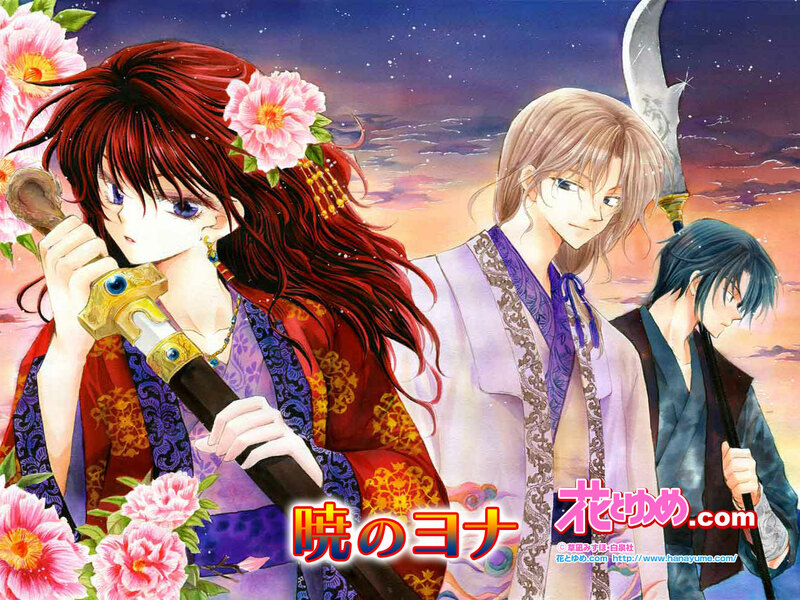 Akatsuki no Yona is but another entry in the “princess forced to run away with her bodyguard’ genre, but boy is it a good one. I apologize for another list. It would appear that my blog has been full of lists lately, but I wanted to make one last list for 2012. This isn’t a list of manga that were released or ended in 2012. No, it is just a list of some good manga that I probably read in 2012. The thing with manga is that there are really no seasons for manga. They start and end pretty damn arbitrarily, so it is pointless to only talk about manga that started this year. Also, when I say manga, I am talking about entire series and not volumes. I actually wanted to make individual recommendations for many of these and I am going to do that at some point, but hopefully for now, this will suffice. This list only has 5 manga on it because I am in a hurry to get this out before the end of the year. I have purposefully neglected to include some popular manga (like Koi dano Ai dano) and manga that I have written posts on like Kubera and Gakuen Babysitters (both of which are great). Maria isn’t in this list because I actually haven’t read enough of Hayate yet. A story that involves someone being thrust into taking care of a child (e.g. Usagi Drop). A story that revolves around two brothers. A story that makes me dawww and hnnnggg or so to speak. After his parents died, Ryuuichi ends up in charge of his adorable, younger brother, Kotarou. The two of them are taken in by a school chairman who assigns Ryuuichi as a volunteer for the school babysitter club that is populated with the young children of the school staff. A quick read of the plot description above shows that this manga clearly satisfies each one of the aforementioned bullet points. That is to say that unless the manga really botches up on presentation, it is pretty much guaranteed to be good in my eyes. 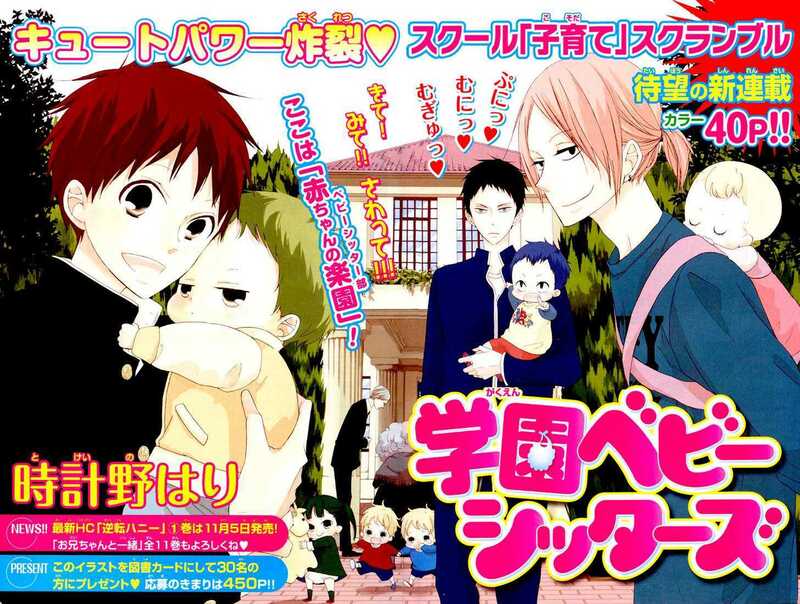 Gakuen Babysitters most certainly does a splendid job of meeting all of the above criteria, but I wrote this post because it does so much more. 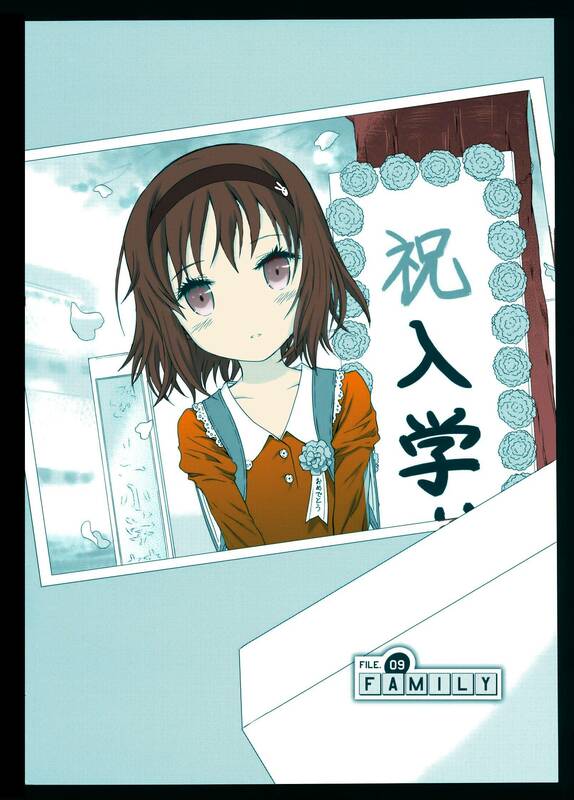 This is one of the best manga I have ever read….and I have read a lot of good manga. Cute girl, what more could you want? Oh wait, she has a knife, meh, she is cute, so it doesn't matter. Lying Mii-kun and Broken Maa-chan: Precious Lies. Ok, so this is a list. 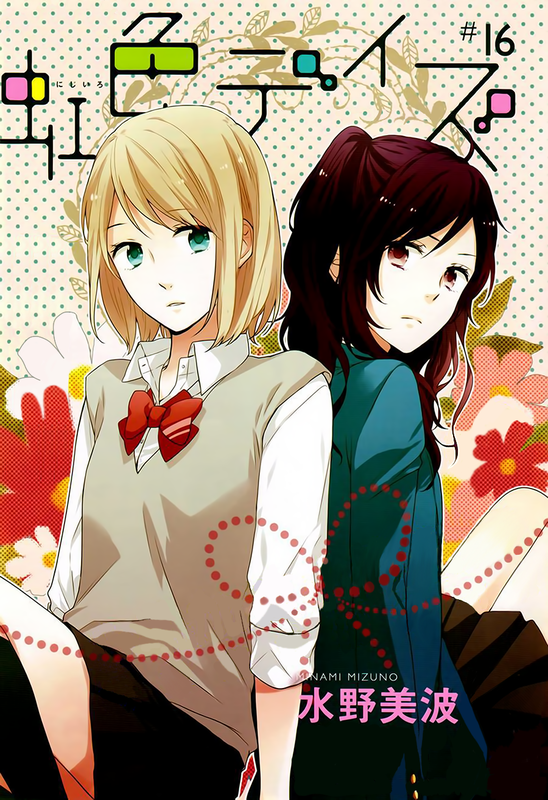 A list of some brilliant shoujo’s that I have read over the years. It’s a long list, but even then, it is incomplete. To be perfectly honest, if you just wanted a good shoujo, you could just go to Baka-Updates, and find one there. I am going to use this list as more of a guide for you the readers, and for my self. 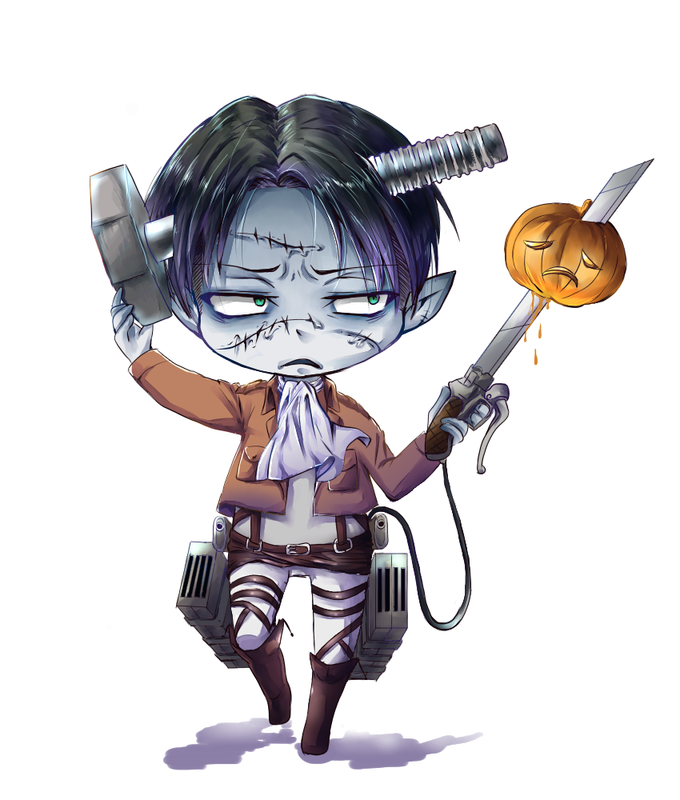 Should I get out of my lazy habit, I will do reviews/posts about most of, if not all the manga here.